Imagine being able to fall asleep at night to the soothing sounds of a harbor. Picture yourself having a front-row seat to the annual fireworks displays at Penns Landing. Think of all the fun youll have exploring the Delaware River Waterfront and Spruce Street Harbor Park, playing a game of chess on the life-sized board, dining on gourmet food at one of the converted shipping containers, and relaxing in one of the many hammocks. Or be one of the first to enjoy the new Cherry Street Pier, opening in October and blending work and play together with shops, dining, and artist studio space. Sounds too good to be true, right? We assure you, this will be your reality when you decide to call Pier 3 your next home. This unit features two large, sunny bedrooms, both with sliding doors to the balcony that overlooks the marina and the Ben Franklin Bridge, two full bathrooms, and a spectacular living area with double-sliding doors to the balcony, bringing the outdoors inside. 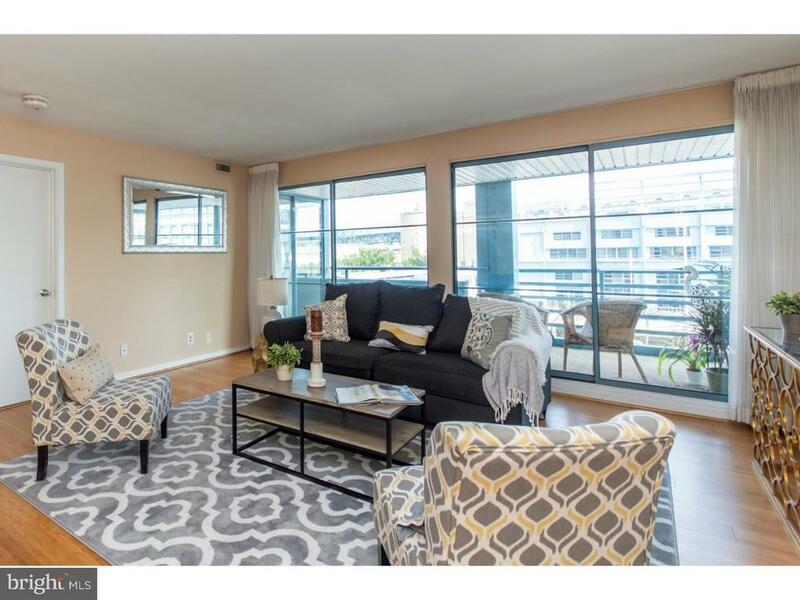 With the abundant natural light, this condo is the perfect spot for an artists pied-~-terre. The gourmet kitchen offers granite counters, subway tile backsplash, and tons of storage, and is open to the living area, making it ideal for entertaining. In addition to all of this, building amenities include: heated indoor lap pool; state-of-the-art fitness center; 24-hour front desk concierge; on-site management company; secured indoor parking; 3-story atrium with lush interior landscaping; the list goes on and on. Ideally located close to I-95, Regional Rail, Patco, and Old City, there is easy access to New Jersey and New York City, meaning the possibilities are positively endless. Schedule your showing of 3 N. Columbus Blvd, #MD303 today, and see for yourself what all the fuss is about!